Do you want to build an iOS app that can help with tracking workout and fitness? Well, the idea is wonderful citing the rising health and fitness awareness that people have today. Here is what you should know about workout and fitness app development for iOS platform. Beyond the knowledge of Swift programming language and understanding of the Xcode’s ecosystem, iOS developers need to have a sound knowledge of Apple’s health-oriented software development kits, namely, HealthKit, CareKit, and ResearchKit.’ Apps that share the API of these kits communicate with each other effortlessly, thereby, helps the users to have more relevant data regarding their health. Vice versa third-party APIs need to be integrated with the iOS app. For instance, if you want data from your Fitbit, Runkeeper, etc., then your iOS app needs to be integrated with the APIs as recommended by the vendors as we have done in this fitness app built for a corporate wellness service provider. 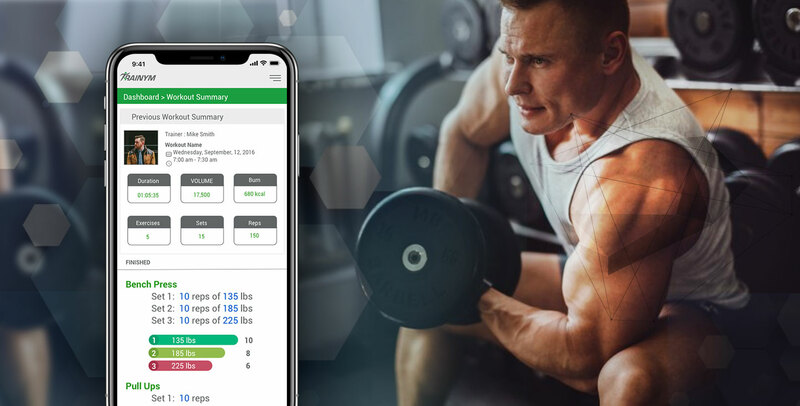 You can leverage the iPhone or iPad to educate users to stay fit by adhering to a fitness regime on a regular basis and to monitor their progress as this Trainym workout app does. This app has two versions, iPhone-based version is to help customers while the iPad version for the gym owner or trainer. The key role of any customer-facing app is to guide him or her, so consider including live videos regarding the exercise that you have prescribed. Make sure you also add a “CTA” or “Get in Touch” button to drive engagement and make users feel at home with your instant support over the phone. Introducing compatibility with Siri and integrating an AI chatbot you can make your app stand out from the crowd. In one of our previous blogs, we mentioned how Siri could make your app more engaging. Thinking that chatbot integration will cost you a fortune? You shouldn’t. Our iOS developers can create a chatbot that can easily harness the capability of existing messaging apps like Facebook Messaging or Skype. March 01 2019How Much Does it Cost to build a Healthcare App?